The big outdoor companies quite often announce their new products at the major trade shows in January and February. While it was far from the only significant announcement at the 2019 SHOT Show, Winchester made a big splash when it rolled out the brand-new .350 Legend cartridge this year. Using a modified, straight-walled .223 Remington case that’s 1.71 inches long, the .350 Legend pushes a 150 grain .357 caliber bullet at a velocity of 2,325 feet per second using a 20-inch barrel. That works out to about 1,800 foot-pounds of energy at the muzzle. 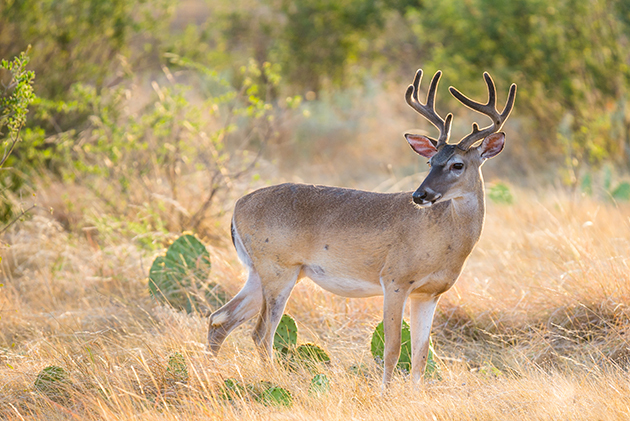 Hunters in some states, particularly those in the Midwest like Ohio, are restricted to using muzzleloaders, shotguns, or straight-walled cartridges in modern firearms during deer season. For this reason, cartridges like the .357 Magnum, .450 Beowulf, and the .45-70 Government are relatively popular in those areas. 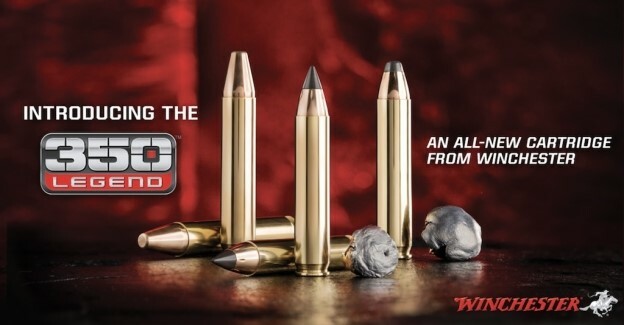 Winchester aims to capture a larger portion of that market share with the new .350 Legend by marketing it as “the fastest straight-wall hunting cartridge in the world.” The company also emphasizes the very mild recoil of the cartridge, which it categorizea as about 20 percent less than the light-shooting .243 Winchester. The .350 Legend is roughly comparable to the tried and true .30-30 Winchester in terms of kinetic energy and they’re both ideal for hunting deer-sized game at typical hunting ranges in most areas (50-150 yards). However, with more frontal surface area, a slightly flatter trajectory, and a little bit less recoil, the .350 Legend offers some small improvements over the .30-30. The other big advantage with the new cartridge is the .350 Legend is legal to use in many states where the .30-30 isn’t permitted. Additionally, Winchester cleverly designed the new cartridge to fit into a niche that’s more powerful than a lot of straight-walled pistol cartridges (like the .357 Magnum and .45 Colt), but with a lot less recoil than bigger bore cartridges like the .450 Bushmaster. Winchester is currently producing its XPR bolt-action rifle in the new cartridge and it’s likely we’ll see additional rifles (maybe even an AR) in .350 Legend in the near future. The company also produces the cartridge in their Deer Season XP (150 grain XP), Super X (180 grain PP), USA White Box (145 grain FMJ FN), and Power Max Bonded (160 grain JHP) lines of ammunition. Heck, it even produced a 265 grain subsonic load for the cartridge as part of its Super Suppressed lineup. So, there are already plenty of ammo choices suitable for hunting deer, feral hogs, and black bear. On paper, the .350 Legend appears to be a very interesting development that’s a great short-range deer cartridge. Indeed, the marketing department at Winchester claims that they took a number of whitetail deer with the cartridge last year and that it performed really well. Though I personally will probably not be purchasing a rifle in .350 Legend in the foreseeable future, the cartridge looks like it could potentially be just what the doctor ordered for hunters in many Midwestern states.